More cidering has occurred! A whole lot actually, as I still have another post to get ready after this one. What can I say? I had a happy and celebratory Christmas. This one was recommended by the beer guy at the grocery store since I like a bit of yeasty funk in my ciders. And oh yeah, this one has some funk. The smell is sour, tart and there's something there that makes me think of nail polish. Taste-wise, it's like drinking stinky cheese. With olives. And bandaids. I tasted no apples. At all. It's wet (not champagne-like dry) and not at smooth. And full of funk. A bit too much funk for me, honestly, with the whole bandaid/lanolin aftertaste, but it sure is... uh, interesting. It smells of apples and pumpkin pie and pretty much matches my expecting of how a pumpkin cider should smell - nice with a warm spiciness. 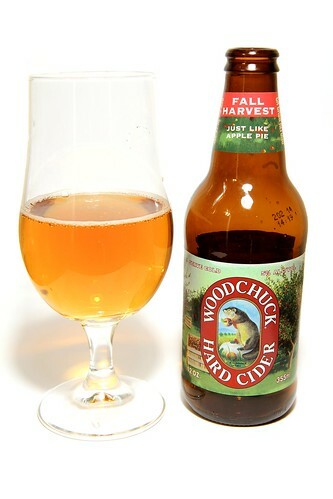 The taste is much less in-your-face-apple than most ciders. Mild overall, but with a lot of flavors going on: a mild white grape taste on the front end, some plain pumpkin in the middle, and end notes that alternate between pumpkin pie spices and almost-graham-cracker. It's a touch drier than a lot of the sweater ciders but not to the point where it's actually dry. This one is probably a bit busy for a daily drinker for me, but I really like it. The smell on this one is simply fabulous - full on yeast and fresh bread dough with hints of sweet apple. I was seriously almost afraid to taste this lest I be disappointed. Fortunately, the taste is lovely. Lots of yeast throughout with apple that is sweet, mild and dark. The sweet sharpness (it's not candy sweet but just enough sweet to nicely balance the tart) of the apple gives a great balance to the heavy, funky yeast. Probably one of the all-around most wonderfully balanced ciders I've had. 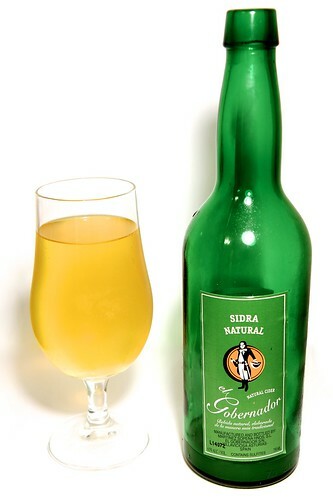 This is stronger than most of the ciders I've tried and it comes in a big bottle. Whee! Winner all around! It smell is of stewed apples with lots of spices - specifically cinnamon, ginger and cardamom (Dan reads it as bubble gum which I can see, but I think cardamom). The taste is very Jolly Rancher apple cinnamon. It's like Halloween in liquid form with a chaser of potpourri. It's crazy sweet and candied, which I can see some folks really getting behind. For me, though, it's too sweet and spicy for me to get into it. I don't like Red Hots, either. 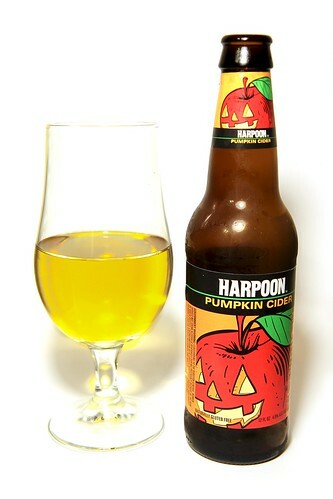 This one isn't for me, but I think that someone with different cider desires could love it. So this batch of ciders has probably my favorite so far, Crispin's The Saint. I really think it supplants my previous favorite of Woodchuck's Belgian White. However, the Belgian White comes in a normal sized bottle and The Saint comes in a big one. And is strong. Which means I don't think I'll be buying six-packs of The Saint any time soon. Singles though? Oh yeah. 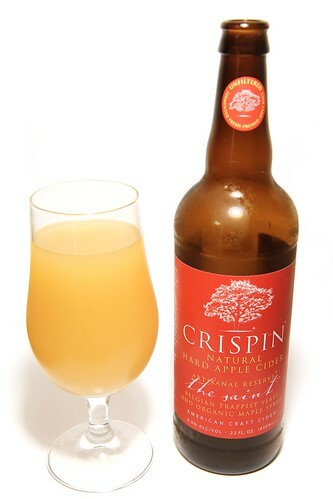 Other ciders that remain front-runners in the "I'd buy it again" category are Crispin's Original, Angry Orchard's Apple Ginger, and Woodchuck's Farmhouse Original '91. Lots more still to try!